Westwind Graphics’s Colors: Create a distinctive look with Westwind’s latex (water base) environmentally friendly field paint. Choose from our wide range of vivid colors that gives your field a professional finish in artificial and natural light. This field paint is perfect for painting mascots, team logos and striping your field for multiple sports. Sold in 5-gallon pails. Westwind's field marking paint is environmentally friendly. Lead free, low VOC and easy clean up. More cost effective than aerosol. Suitable for natural and artificial playing surfaces. Concentrate and color yield up to 450 linear feet per gallon of mixed paint. 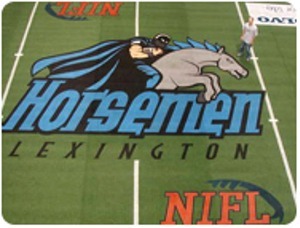 Perfect for athletic fields, sports areas and stencils. Call 800-663-7492 for quantity pricing on 5 pails or more.